HOUSTON – (Realty News Report) – Houston’s office market remains challenging. The sector is seeing high vacancy, although leasing velocity has picked up somewhat in recent months. During the third quarter of 2018, according to NAI Partners, Houston’s office market had a vacancy rate of 21.5 percent, representing some 50 million SF of vacant space. NAI reports 8.8 million SF is on the sublease market. Several new office buildings are under construction and more buildings are being planned. To find out what’s going on in the market, Realty News Report spoke with Dan F. Boyles, Jr., a partner in NAI Partner’s Office Tenant Rep Group. Specializing in office leasing and sales, Dan has been actively involved in the commercial real estate business for more than 29 years and has been involved in over $1 billion worth of lease and sale transactions. Realty News Report: What is the state of affairs for Houston’s office market today? Dan F. Boyles, Jr.: I would say the market is slowly improving. There are not a tremendous amount of demand drivers, but the supply side has been held in check with very few new deliveries and less new sublease space coming to market. Certain sectors such as coworking/executive suites—including companies like WeWork and WorkSuites—and law firms are leasing space, but not at a rate to offset the amount of vacant space that has been put on the market during this downturn. In the oil and gas industry, which is still the major driver behind the Houston office market, the service industry seems to have stabilized but there has been very little activity on the upstream side of the business. Petrochemical and midstream firms are active as well, but this has not translated to any measurable amount of absorption of office space. Realty News Report: When will the office market reach full recovery? How does the market get there? Dan F. Boyles, Jr.: The best way to describe where we are now is treading water. The flight to quality has prompted developers like Hines to begin projects in a suspect market, which can negatively impact certain submarkets if there is not enough demand to fill the vacancies left by large corporate tenants signing leases in these new properties. This could extend the time it takes for the market to fully recover. We need to see at least three consecutive quarters of meaningful positive absorption for me to believe that the market is truly in a recovery. That has not happened yet. This past quarter (almost 800,000 sq. ft. of positive absorption) is a good sign, but time will tell if this is a trend that will continue. Realty News Report: The Energy Corridor office market has been struggling with considerable vacancy and a large supply of sublease space. What’s your forecast for the Energy Corridor? Dan F. Boyles, Jr.: It’s likely to be one of the slowest to come back for obvious reasons. There is a high concentration of oil and gas companies that dumped office space on the sublease market and there has been significant new construction. Much of the sublease space is being priced to move which will lead to that space being absorbed quicker. We recently have seen some major relocation announcements to the area—including Oxy and Transocean—at the expense of other submarkets. It is clear that these companies value the location/access and concentration of like companies. Every time we see a downturn in the energy industry which leads to a subsequent downtown in the Houston office market, prognosticators say it will take years to absorb the vacant space. What I have found is that it generally recovers quicker than most think. Realty News Report: Some real estate people tried to promote the Spring/Woodlands area as the “New Energy Corridor” or the “Second Energy Corridor.” Of course, Exxon Mobil and Anadarko and others have a big presence on the north side now. Can the north side Energy Corridor surpass the traditional one on the west side? Dan F. Boyles, Jr.: ExxonMobil had a big impact on that area and a certain amount of demand was driven by companies who wanted to be close to it. But major relocations there such as ABS and Hewlett Packard were not because of ExxonMobil. Those companies came because they were drawn by the amenity base there including Springwoods Village as well as the increased access provided by the completion of the Grand Parkway. In my opinion, the area is not going to surpass what you see on the west side of town. The underlying drivers are infrastructure, access, and amenities, not ExxonMobil and Anadarko. Look at Houston. The MPC communities are on the west side and north side and a lot in between, so major corporations are trying to figure out a way to get near to them. Realty News Report: What about the Uptown Galleria area? What’s your outlook there? Dan F. Boyles, Jr.: The Galleria area has not been impacted in this downturn as much as the west side of town and downtown. There was far less new construction during this cycle and most of it was tied to major tenants occupying all or a majority of the new space (BHP/Amegy). However, it has had its challenges and there are still some that lie ahead. The pending relocation of Marathon Oil to the City Centre area will put a large block of space on the market in 2021. Additionally, we could see BHP dump more space on the market. Overall, I think the outlook for the Galleria area remains strong. The location, access and amenities are unmatched in Houston, maybe with the exception of Downtown. These things will continue to attract companies to the area. Realty News Report: What do you think about the new transit line down Post Oak Boulevard? How will that impact the area? Dan F. Boyles, Jr.: It is already impacting the area! Traffic has gotten so bad because of all the construction; they are tearing up every street. Realistically, I don’t think it will have any impact, short of public relations to combat the bad image associated with all the congestion in the area. Will some people use the new buses? Yes. Will it have a significant impact? Not in my opinion. I read a statistic from the Greater Houston Partnership that said 10 years ago 78.5% of all commuters in Houston drove alone. Today, it is 80.3 percent! People are driving their own cars and driving alone. I’m just making an observation, but people like their cars in Houston. Transportation is one of the challenges we face. Traffic is not yet like LA or NYC, but Houston has almost no mass transit infrastructure unless you are downtown. My hope is autonomous cars get here sooner rather than later. Realty News Report: Hines will leave the Uptown/Galleria area – (Hines’ headquarters has been located in Williams Tower for years) – and move into more than 100,000 SF in the tower they are building in downtown on the former site of the Houston Chronicle building. What are your thoughts on this move? Dan F. Boyles, Jr.: It’s not a “Downtown vs. Galleria” situation; Hines decided to move to a newer building. Once Hines moves out, a block of space will be available in Williams Tower—which is fairly well occupied now. It’s a block of space becoming available in a quality building, and it will likely get absorbed. I see it as an opportunistic move for Hines, to take advantage of all the benefits of being in a newer property. That’s why corporate America is paying top dollar for new amenities such as food halls, more natural light, bigger floor plates, terraces and green space, etc. Realty News Report: With new amenity-loaded buildings being constructed, there is a flight-to-quality movement in the Houston market. Building owners are forced to make significant improvements. How will this trend unfold? Dan F. Boyles, Jr.: We’re seeing them being renovated now. Look at Brookfield and what they did with Allen Center and what they are going to do in Houston Center. Owners are going to renovate and activate new amenities in order to compete. Most every Class A building in Galleria, Greenway, and Downtown has changed in some way—if not cosmetically, then with the addition of fitness and conference centers. Owners have all felt the need to do that, especially bringing in new food services options. At Wells Fargo Center, the owners are activating a new area with a restaurant. This is just one example of many going on at many of these properties. Realty News Report: Downtown Houston has over 1 million SF of Class C space. What is the ultimate fate of those properties? Dan F. Boyles, Jr.: I think many of them are ripe for conversion or development. There are not a lot of buildable sites downtown and a number of properties are no longer viable for office space and might be torn down. Realty News Report: Dan, are you a native Houstonian? What do you see happening with the growth of the city in the long-term? 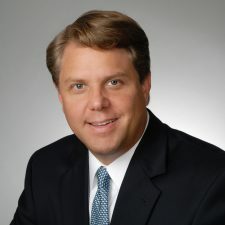 Dan F. Boyles, Jr.: I was born here, and I strongly believe in the Houston office market and Houston in general. The business environment here is too strong and vibrant—you can’t keep a good man down as they say! Being in the State of Texas does not hurt either. We still have a lot of hopes tied to the oil and gas sector, but we have diversified. A lot of small business here are growing. Houston will be fine in the long run.